OCCC students volunteered to stock shelves and help customers with their grocery shopping at Other Options Food Pantry on March 17. Other Options Food Pantry, 3636 NW 51, helps people that have HIV or AIDS who can’t afford food. Manager Kim Williams said most of the customers are people they know by name because they come quite often. Other Options Food Pantry is fully funded by donations. Local companies help supply the food, Williams said. They get their groceries with donations from places like WalMart, Sam’s, Target and Starbucks. She said sometimes they have anonymous donations from different companies to help them with groceries and toiletries. Tanieca Baldwin, an OCCC student volunteer, said she had a great time helping the customers and giving back to the community. Baldwin said she has realized how so many people who are HIV-positive can appear to be very healthy. She said she believes HIV and AIDS awareness needs to be discussed with more young children to help prevent them getting the virus. In order to qualify to shop at Other Options Pantry, a person has to be infected with HIV or AIDS, meet their income guidelines and be receiving some kind of public assistance. 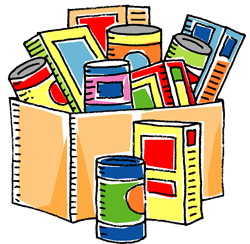 For more information on Other Options Food Pantry, Williams can be contacted at 405-605-8020. Other Options Food Pantry always welcomes volunteers. To contact Lyric Jackson, email onlineeditor@occc.edu.